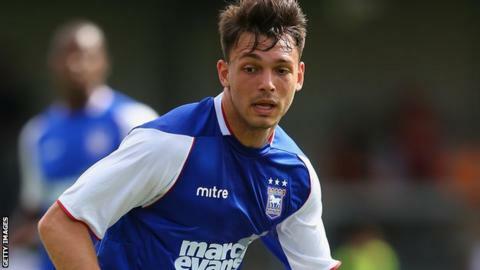 Bury have signed former Huddersfield centre-back James Burke on an 18-month contract and Ipswich defender Frederic Veseli on a one-month loan deal. Burke, 19, came through the youth system at the Yorkshire club but did not make a senior appearance for the Terriers and was released this week. Veseli, 21, joined Ipswich in the summer but has only featured once. Meanwhile, goalkeeper Brian Jensen has extended his contract with the Shakers until the end of the season. The 38-year-old Dane, who has made 17 appearances since joining in September, will now remain at the League Two club until the end of the season. Six-goal leading scorer Anton Forrester will also stay with Bury until the end of the campaign after his loan from Blackburn was extended. Bury have submitted the relevant paperwork for Burke's signing to the Football League and hope the teenager will be eligible for Wednesday's League Two match at Hartlepool United.